News of the cabinet reshuffle is trickling out and there are some suprises - one pleasant, the rest less so. First the good news: Baroness Warsi has been sacked as Party Chairman which means she loses her cabinet post. Warsi has a history of deeply insulting comments about English people and earlier this year tried to suggest that UKIP had some sort of link with the BNP because the increase in the number of UKIP candidates in the local elections was similar to the decline in the number of BNP candidates. Good riddance. Raging europhile Ken Clark has been removed from the Ministry of Injustice and will now be a minister without portfolio advising David Cameron on economic policy. A slightly worrying appointment given that Clark still thinks we should join the failing €uro. Andrew Mitchell has been taken out of the Department for International Development where he was responsible for funding India's nuclear and space programmes and appointed as Chief Whip, responsible for threatening and bullying Tory MPs to make sure they set their principles to one side and vote how they're told. 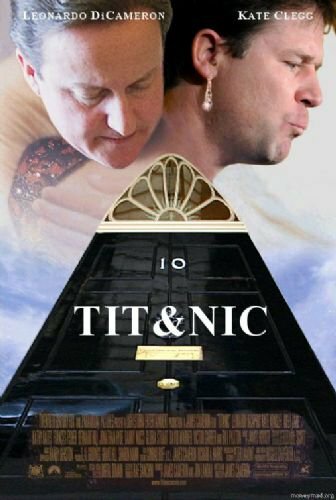 It is believed that Cameron will bring back crooked Lib Dem, David Laws, who stole taxpayers money to pay his girlfriend's rent. There is also speculation that Owen Paterson will be moved out of the Northern Ireland Office. Underwhelmed so far? It's not even halfway through yet.